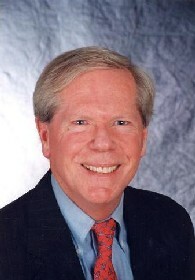 Paul Craig Roberts, who was Assistant Secretary of the Treasury for Economic Policy under US President Ronald Reagan and whose distinguished journalistic career, includes 15 years as an associate editor of the Wall Street Journal, has been banned, so far, for six years from the US mainstream media. He has been banned becasue he questions the myths used to justify US domestic and international policy - that offshoring of jobs and high immigration will bring prosperity to the US and the official account of 9/11. Originally published on Information Clearing House on 24 Mar 10. March 24, 2010 "Information Clearing House" -- There was a time when the pen was mightier than the sword. That was a time when people believed in truth and regarded truth as an independent power and not as an auxiliary for government, class, race, ideological, personal, or financial interest. The Council of Europe is investigating big pharma's role in hyping a false swine flu pandemic in order to gain billions of dollars in sales of the vaccine. And there is the global warming scandal, in which climate scientists, financed by Wall Street and corporations anxious to get their mitts on "cap and trade" and by a U.N. agency anxious to redistribute income from rich to poor countries, concocted a doomsday scenario1 in order to create profit in pollution. I remember when, following CIA director William Colby's testimony before the Church Committee in the mid-1970s, presidents Gerald Ford and Ronald Reagan issued executive orders preventing the CIA and U.S. black-op groups from assassinating foreign leaders. In 2010 the US Congress was told by Dennis Blair, head of national intelligence, that the US now assassinates its own citizens in addition to foreign leaders. When Blair told the House Intelligence Committee that US citizens no longer needed to be arrested, charged, tried, and convicted of a capital crime, just murdered on suspicion alone of being a "threat," he wasn't impeached. No investigation pursued. Nothing happened. There was no Church Committee. In the mid-1970s the CIA got into trouble for plots to kill Castro. Today it is American citizens who are on the hit list. Whatever objections there might be don't carry any weight. No one in government is in any trouble over the assassination of U.S. citizens by the U.S. government. Americans have bought into the government's claim that security requires the suspension of civil liberties and accountable government. Astonishingly, Americans, or most of them, believe that civil liberties, such as habeas corpus and due process, protect "terrorists," and not themselves. Many also believe that the Constitution is a tired old document that prevents government from exercising the kind of police state powers necessary to keep Americans safe and free. I was associate editor and columnist for the Wall Street Journal. I was Business Week's first outside columnist, a position I held for 15 years. I was columnist for a decade for Scripps Howard News Service, carried in 300 newspapers. I was a columnist for the Washington Times and for newspapers in France and Italy and for a magazine in Germany. I was a contributor to the New York Times and a regular feature in the Los Angeles Times. Today I cannot publish in, or appear on, the American "mainstream media." For years I was a mainstay at the Washington Times, producing credibility for the Moony newspaper as a Business Week columnist, former Wall Street Journal editor, and former Assistant Secretary of the U.S. Treasury. But when I began criticizing Bush's wars of aggression, the order came down to Mary Lou Forbes to cancel my column. America's fate was sealed when the public and the anti-war movement bought the government's 9/11 conspiracy theory. The government's account of 9/11 is contradicted by much evidence. Nevertheless, this defining event of our time, which has launched the US on interminable wars of aggression and a domestic police state, is a taboo topic for investigation in the media. It is pointless to complain of war and a police state when one accepts the premise upon which they are based. These trillion dollar wars have created financing problems for Washington's deficits and threaten the U.S. dollar's role as world reserve currency. The wars and the pressure that the budget deficits put on the dollar's value have put Social Security and Medicare on the chopping block. Former Goldman Sachs chairman and U.S. Treasury Secretary Hank Paulson is after these protections for the elderly. Fed chairman Bernanke is also after them. The Republicans are after them as well. These protections are called "entitlements" as if they are some sort of welfare that people have not paid for in payroll taxes all their working lives. With over 21 percent unemployment as measured by the methodology of 1980, with American jobs, GDP, and technology having been given to China and India, with war being Washington's greatest commitment, with the dollar over-burdened with debt, with civil liberty sacrificed to the "war on terror," the liberty and prosperity of the American people have been thrown into the trash bin of history. Editorial Comment: Whilst Paul Craig Roberts' despair expressed at the end of this article is understandable, we remain hopeful that it will be possible for the people of the US, Australia and the rest of will be able to see through the lies and act to stop them from pushig human civilization over the precipice. 1. ↑ Paul Craig Roberts is correct to oppose the scam of emmissions "cap and trade", or what is known in Australia as the Carbon Pollution Reduction Scheme. Nevertheless, to draw the conclusion that global warming is not a threat as many who oppose of the agenda of the world's rulers do, would be seriously mistaken.